Ms. Bird also has a great post on teacher resources you might not know about. Let your homeschooling families know about these! And speaking of teaching resources, I stumbled across the SMAA Technology page (I believe it's part of St. Mary's School in California) and found it to be chock full of great links. I've tried out Dance Pad Typing and recently recommended it to one of our regular patrons (her daughter enjoyed it very much). If you're looking for links to add to your library website or to recommend to patrons, check it out! Take a look inside the creation of a book cover with Covers That Go Bump in the Night over on the MacKids blog. And yes, that creepalicious cover on Brain Camp makes me want to pick it up right now! 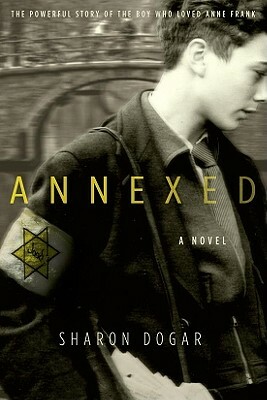 Speaking of books I want to pick up right now, Read Roger links to a Jezebel article that makes me want to pick up Sharon Dogar's Annexed this very instant. Criticizing a book you haven't read? For content that, according to Roger, is actually not in the book? Classy, Sadie. Sarah at GreenBean TeenQueen alerted me that they're making a movie of Wake! Yay! But, um, Miley Cyrus in the lead? Hmmm. I'm not sure what I think of that. Head on over to Sarah's blog for more YA movie news. Do publishers even read your review policies? If you're a blogger interested in working with publishers (think review copies, etc. ), check out this post on the Peachtree Publishers Blog. (Yes, they do read your review policies!) Thanks to Amanda of A Patchwork of Books for the link. Questions of the Heart from Rachael Harrington on Vimeo. And on that poignant note, I'm out. Have a great weekend, everybody!